Buckets N Boards: Comedy Percussion Show... The Most Innovative! The Most Exciting!! The Funniest Show Around!!! 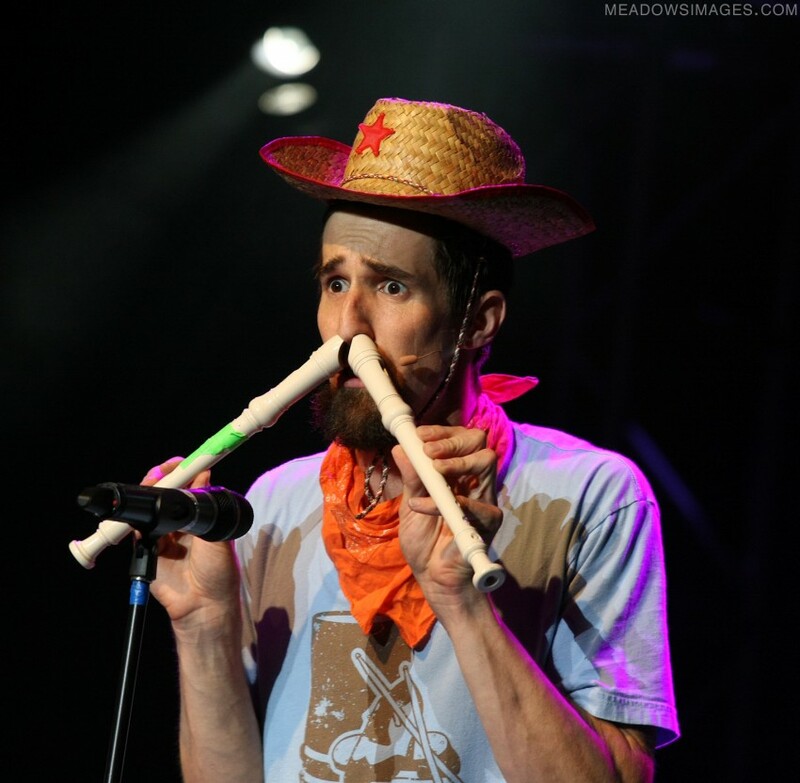 Matt Levingston and Gareth Sever have handcrafted a hilarious and high energy show chock-full of precise percussion, ridiculous songs, spectacular tap dancing, inventive instrumentation and unique musical talent. Their show is highly entertaining and extremely crowd interactive! Buckets N Boards is a comedy duo unrivaled in the Universe! 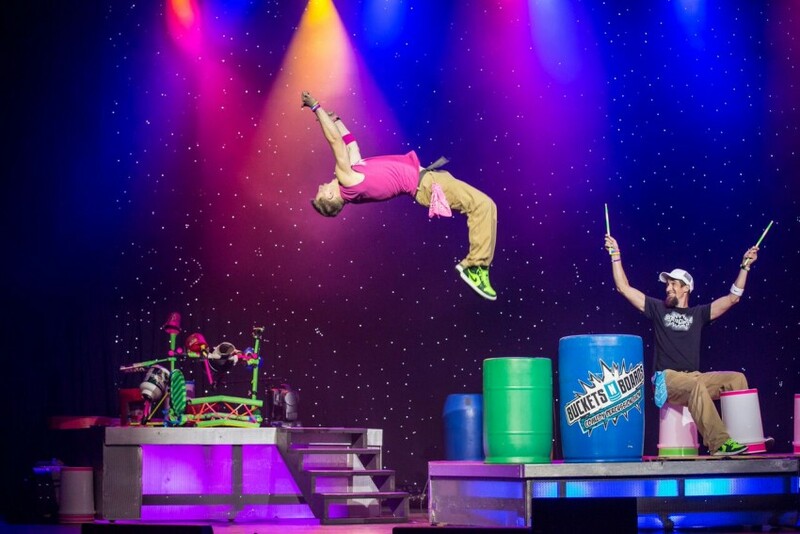 Their show is an experience that has, and will, entertain all ages, from 1 to 91, literally! A show the Entire Family will Enjoy! Buckets N Boards also travels to where you are, and will tailor fit their show to your event. We are a boat manufacturer and we hired Buckets N Boards to entertain at our annual meeting for our boat dealers. They were absolutely awesome! Our entire group loved the show. They kept our group highly entertained during their singing, comedy, and amazing skills with their instruments. Couldn't have asked for a better duo to work with! 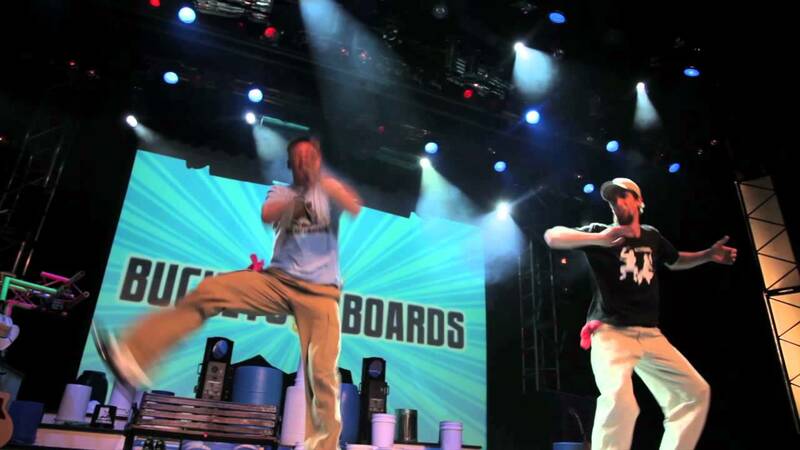 If you need great entertainment, look no further than Buckets N Boards! Disney Cruise lines is known for their fabulous shows. We've never been disappointed by the musical Disney productions, but some of the hired acts have been so-so. My husband and I were both delighted with Buckets N Boards performances. They were funny, creative, and just a joy to watch. Insurance: $1,000,000 - We have liability insurance that covers us in any venue. Also for a minimal fee a specific venue can be added onto our policy. A High-Energy Comedy Show full of Music, Percussion, Tap dance, Ukelele, Propane Tanks, Squeaky Toys and more! An interactive experience for the entire audience!!! 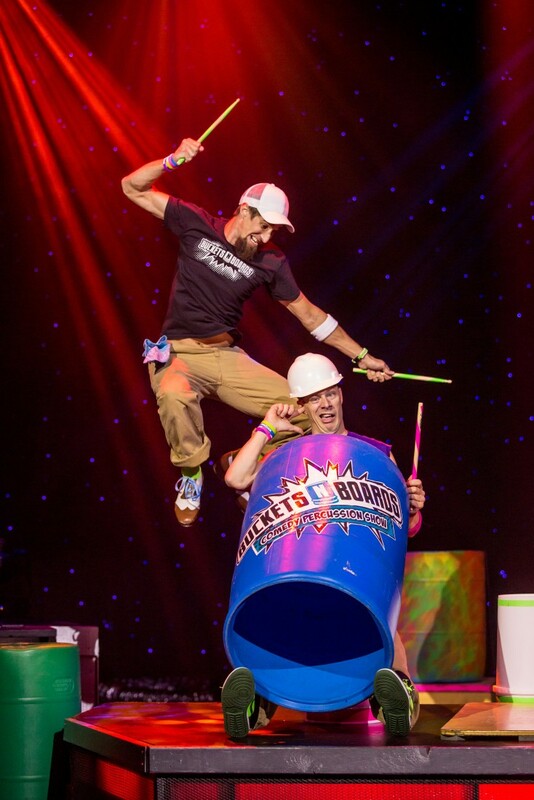 Buckets N Boards is an Incredible Rhythm and Comedy Experience unlike anything you have seen! They have performed their award winning 2 hour stage show for 8 seasons in Branson, MO at the Starlite Theatre. They perform in Branson throughout the summer months during the week, but are also available to travel to gigs on the weekends. They also perform as a Headline Act for Disney Cruise Lines for over 5 years. Buckets N Boards has created a versatile show that plays well to a wide variety of audiences; corporate events, family groups, festivals, colleges, childrens groups etc. If you need to bring fun and excitement to your next event Buckets N Boards will bring it for you. Buckets N Boards can travel with their show to anywhere in the world!!! We can work with whatever lights are available for the event. We can connect with the lighting designer ahead of the event and work up a plot for the performance. We appreciate a minimum of 2 hours prior to the event to set up and sound check in the event space. *We can provide our own full sound system for events up to 1,000 people that are within 8 hours driving distance from Branson, MO.